Since 1975, Quality Plus Feeds has grown to become a strong nutrition supplier in Iowa, western Illinois, and northeast Missouri. Owners Larry Menke and Jerry Stukerjurgen, attribute the growth to listening to the customers’ concerns, needs, and goals. This is evidenced by the company’s shift from a traditional feed distributor/retailer philosophy over 25 years ago in favor of a manufacturing supplier. 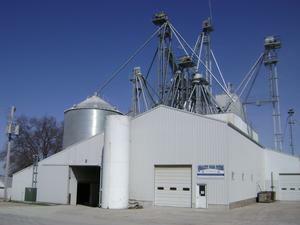 Quality Plus Feeds produces approximately 70,000 tons of animal feed annually and has expanded its role as a grain buyer with storage capacity of 200,000 bushel of soybeans and 550,000 bushels of corn. 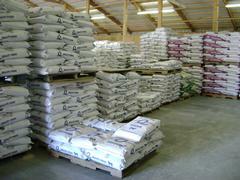 In 2011, Quality Plus Feeds received Safe Feed/Safe Food certification. Safe Feed/Safe Food is a voluntary AFIA facility certification program. Becomming a SF/SF certified facility means that the company's pro-active approach, demonstrates and ensures continuous improvements of delivering safe, wholesome livestock feed for the growth and care of animals. In 2015, With a FDA approval of a Medicated Feed Mill License, Quality Plus Feeds expanded feed operations to include the manufacture of medicated feeds. In 2017, In response to customer request, Quality Plus Feeds sought out certification by the NON GMO Project to produce NON GMO feeds. On October 25, 2017 certification was received and Quality Plus Feeds earned the ability to use the Butterfly Seal. Quality Plus Feeds prides itself on it willingness and ability to go above and beyond standard programs to obtain independent, third party verification of the quality and safety of our customers' products.